Asia’s largest and the 3rd biggest food innovation exhibition in the world, SIAL China 2018 concluded at Shanghai New International Expo Center on May 16th with a record number of visitors, exhibitors and exhibition squares. There were 3,400 exhibitors (+6% VS 2017) showcased their latest products and food trends from countries and regions worldwide, and attracted 110,635 professionals (+9% VS 2017). This year, SIAL China realized an scale of 162,000 square meters (+8% VS 2017), which was the biggest ever. The event mantra emphasized on “international, professional and trade”, and focused on promoting import and export business. 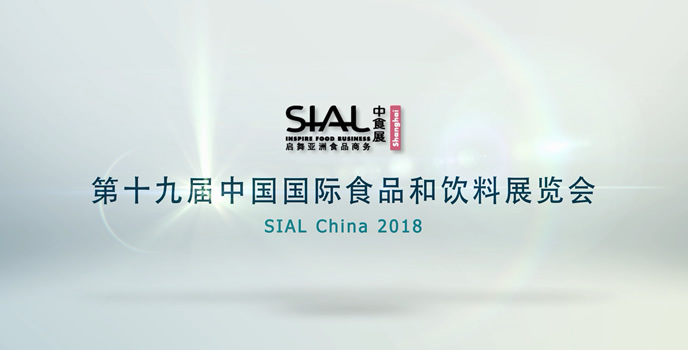 As a result, SIAL China can be seen as the leading food marketplace in Asia.